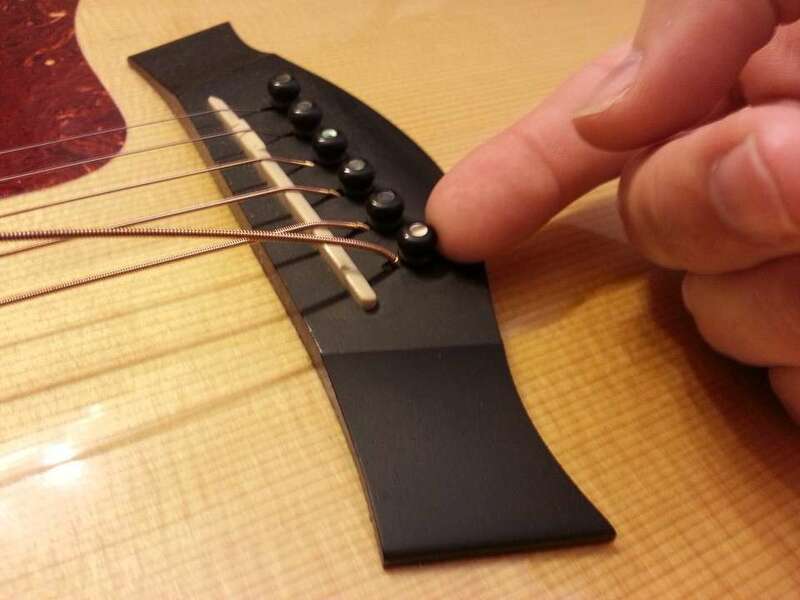 This guide will show you how to restring most acoustic guitars. Some acoustic guitars are built slightly differently but overall these principles can be applied. 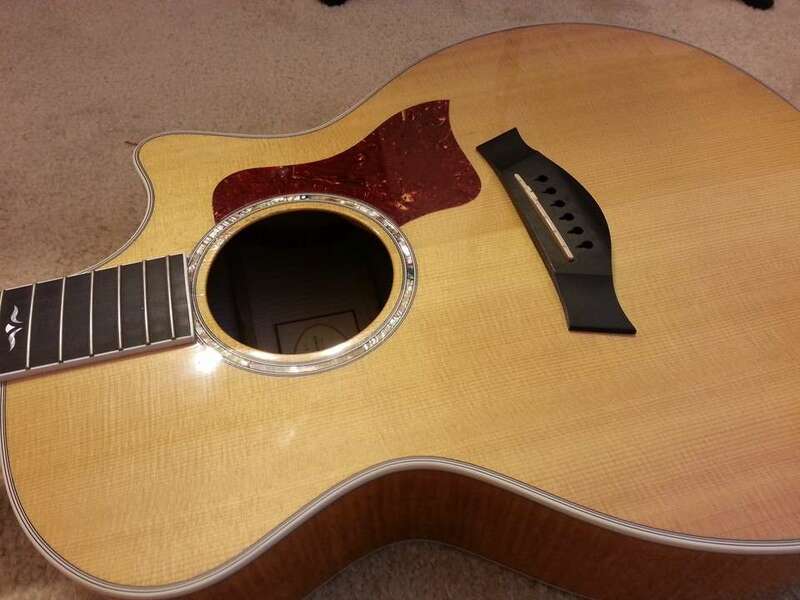 This guide uses the most common style of guitar, but you can tweak some of the steps to fit your guitar. Using your guitar string winder, being unwinding by turning the tuner on the low 'E' string counter-clockwise. 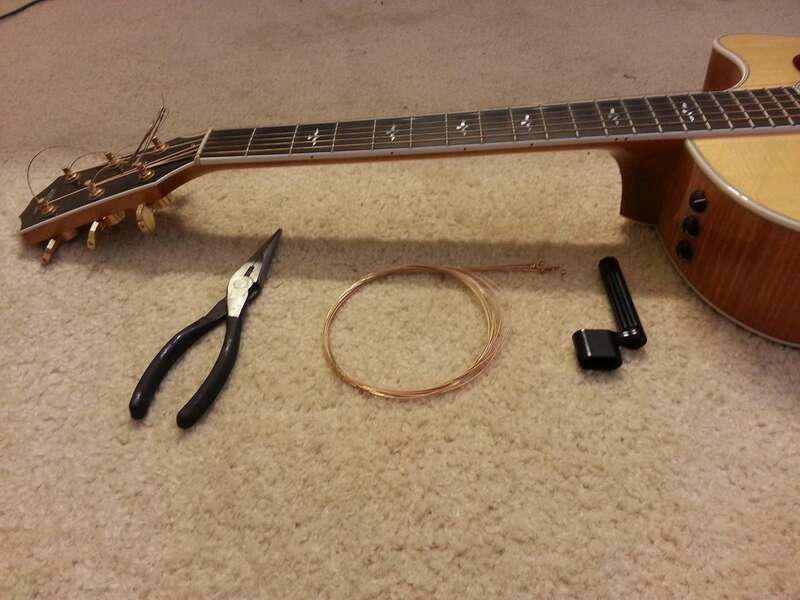 If the guitar was strung improperly you may have to turn clockwise to unwind. 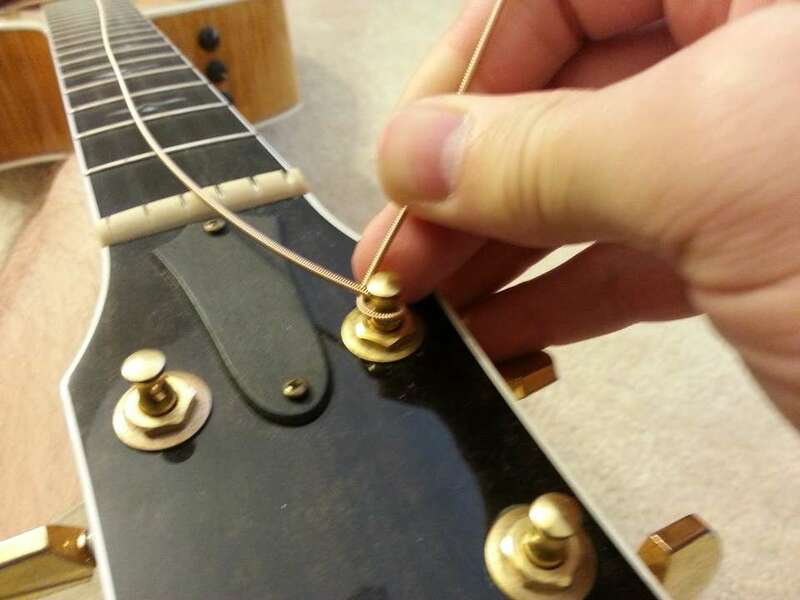 For this guide I will show you how to completely remove a string before moving on to the next string. 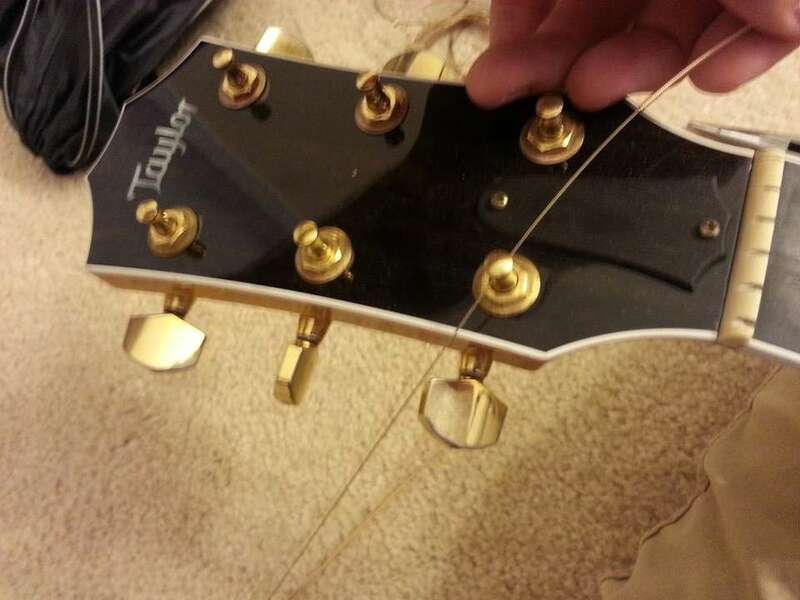 Once the string is completely unwound you can remove the string from the tuner. 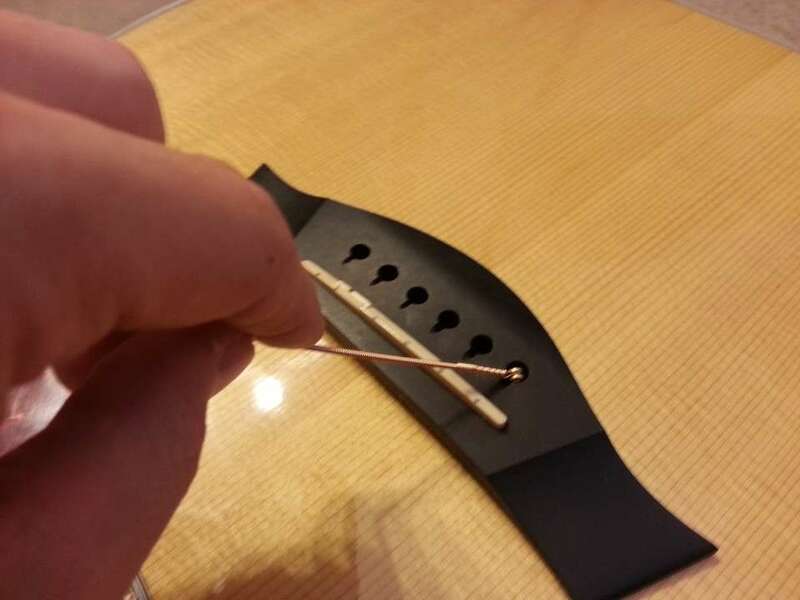 Once the string is completely loosened from the neck, remove the corresponding bridge pin and pull out the string. Keep track of your bridge pins because they are easy to lose. With the guitar positioned horizontally and the neck to the left, you should start with the low 'E' string which will be the hole closest to you. Place the bridge pin into the hole and pull up slightly on the string. This should secure the string and bridge pin in place. 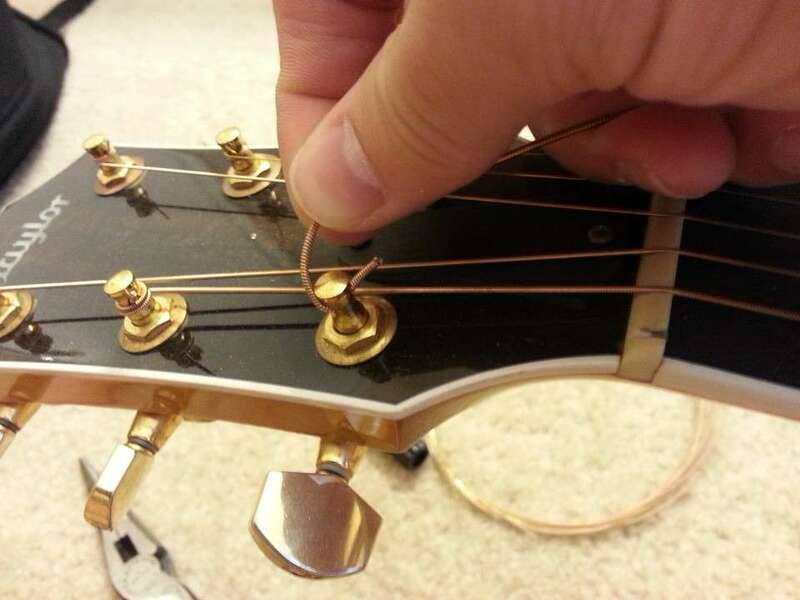 The bridge pin may seem loose at first, but once you start tightening the string it will secure itself. 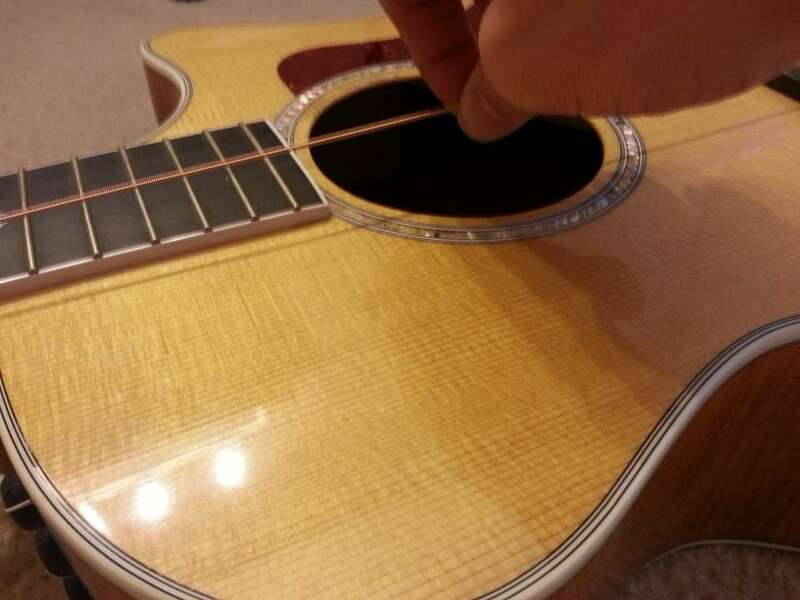 Just pull the string tight enough to ensure that there is no extra string dangling inside of the guitar. 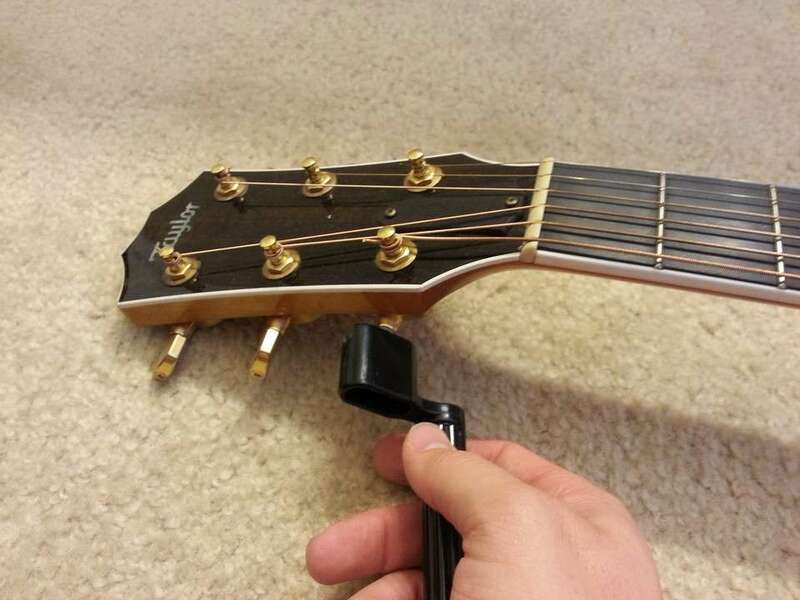 Place it so the end of the string is facing away from the guitar. Pull the string tight enough to leave a few inches of slack in the string. Too much slack in the string is unnecessary, but you'll want enough string to make at least once complete turn. As seen in the picture, this will lock the string in place once you start tightening it. 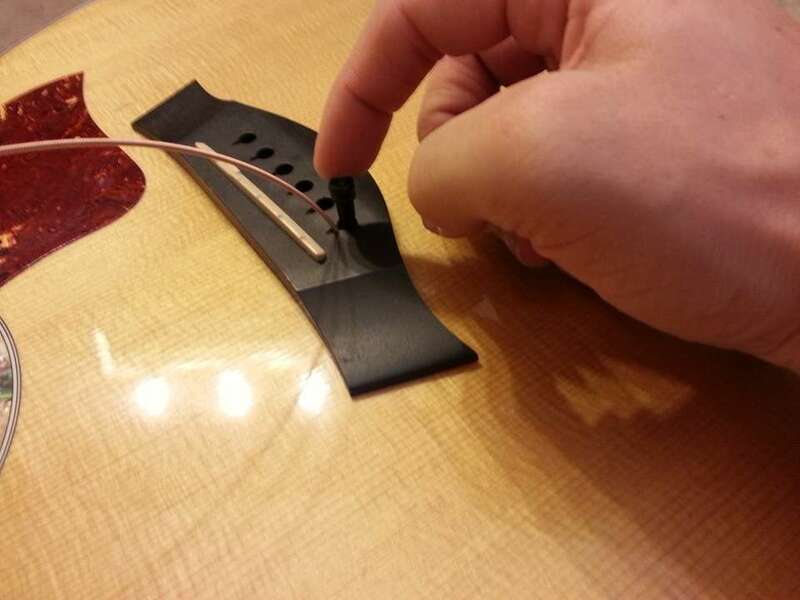 Wind the tuner until you can easily pull the string and create a 2-3 inch space between the string and the body of the guitar. 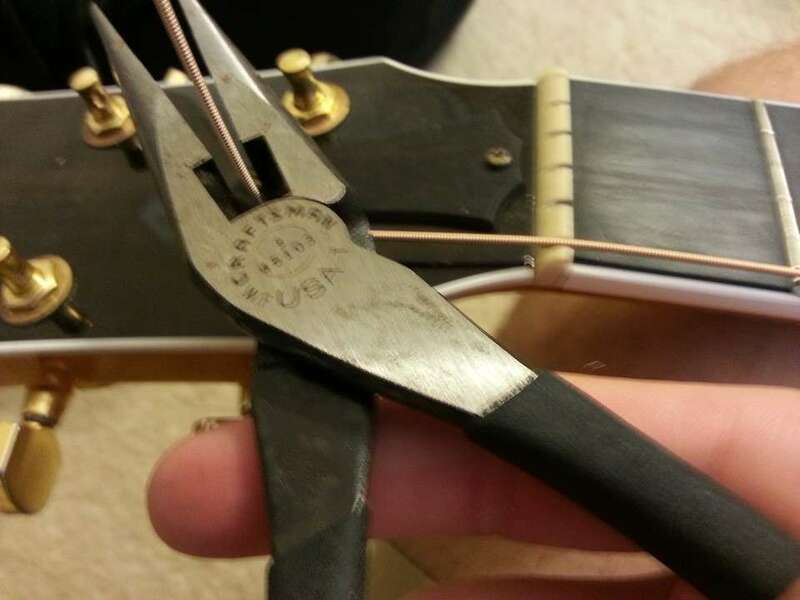 Using pliers or string cutters simply cut away the excess guitar string from the tuner. Make sure to pay attention to the string sizes and place them in order. It's sometimes difficult to tell by looking at them, but the string sizes are often written on the package. Now tune the guitar and you are finished! The Compact Disc-o: My LED disco ball music festival totem!